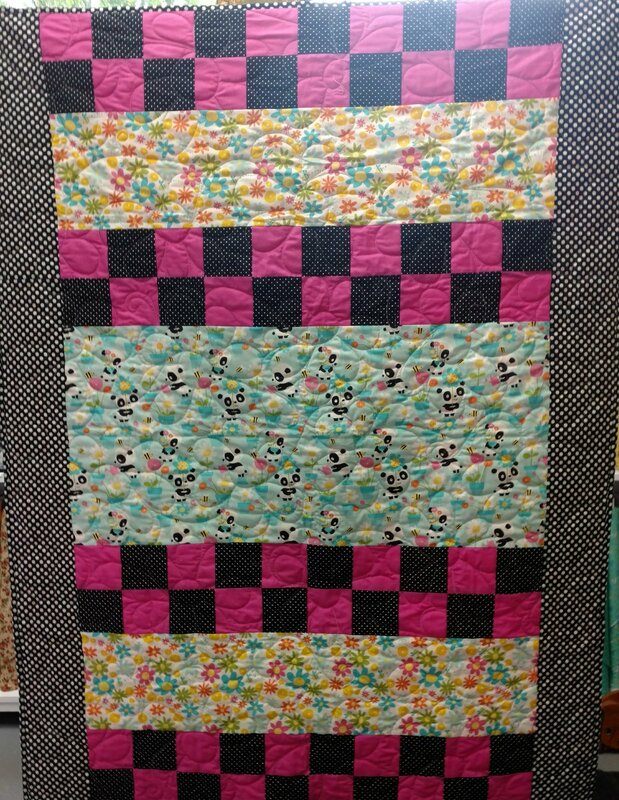 Gingersnap Quilt Kit in Panda Fabric. Quick and easy quilt featuring pandas! Kit includes pattern and fabrics for top and binding. Not included: backing and batting. Finished size: 46" x 61"